Direct mail may not be as common as it was, say, 20 years ago, but it’s still effective if you do it right. Here are seven things to consider to successfully gain more customers. Look at your direct mail piece. Do you get excited about it? What intrigues you? Would you throw it away? Find out what’s important to your clientele. Ask yourself, “Why am I sending this mail to the prospect at this time?” This will help craft your messaging and give a purposeful why to what you’re doing. 3. What’s your biggest selling point? Talk to your customers; what’s your company’s no. 1 selling point? Advertise that. Make sure your piece highlights on that and effectively communicates your biggest advantage. 4. Does your direct mail piece flow? From the messaging to the packaging, make sure your piece looks good, sounds good and sounds like you. It’s great to have a client dream or desire, but positioning so that your service or product is a need will turn a prospect into a customer. 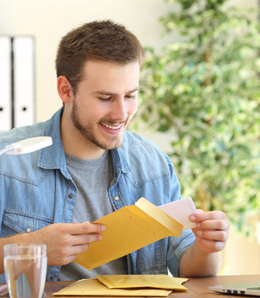 An offer in direct mail is mandatory, whether that is a coupon, free offer or something else. Giving them a reason to act will…do just that…and give them a better reason to buy from you. This article is excerpted from 7 Secrets to Winning the Direct Mail Game published by FindMoreBuyers.com.